I like the idea of having little geeky craft kits around the house for something challenging to do on a long rainy Sunday evening. However, I want to point out that these intricate metal puzzles are not really for kids. Don't make my mistake of trying to put them together with a young child - you'll both get frustrated at the tiny pieces. These aren't toys, but tiny complex models. Stick to Lego if you have a kid hovering nearby wanting to "help"! I have so many friends who are obsessed with Disney's Haunted Mansion. 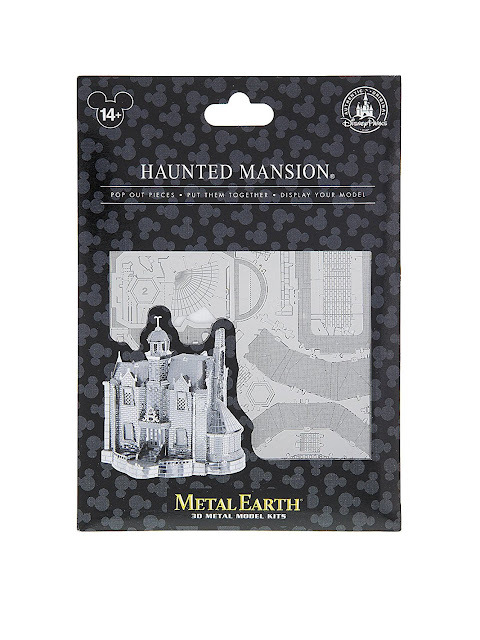 Surely several of them will scoop up the Metal Earth 3D Haunted Mansion kit! 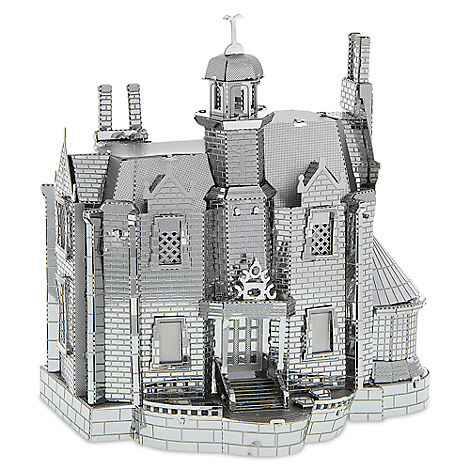 The Haunted Mansion 3D model kit can also be purchased on eBay. 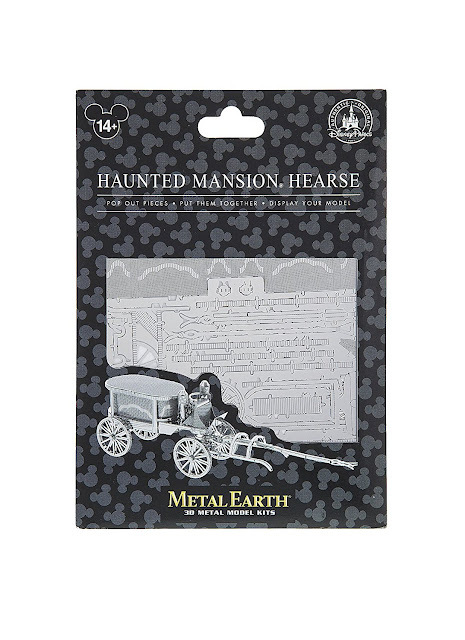 You can't go to all the trouble of putting together the Haunted Mansion and then not park the Haunted Mansion Hearse out front! 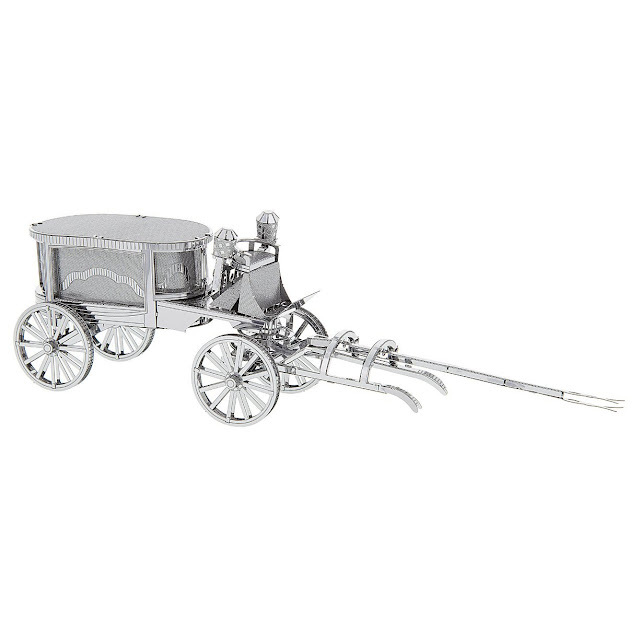 The Haunted Mansion Hearse 3D Metal Earth model is also available on eBay.